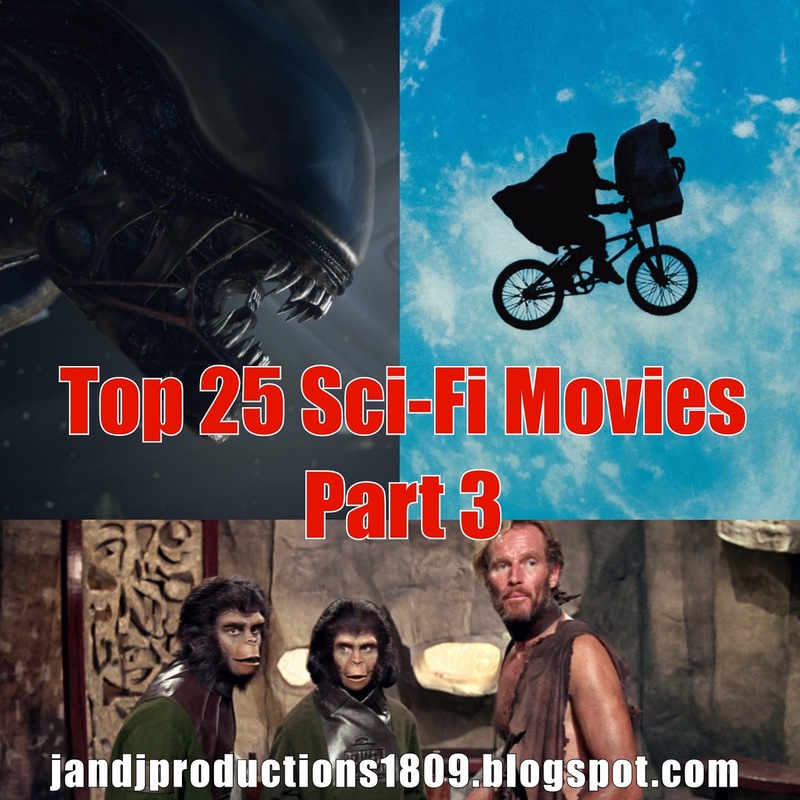 Part 3 of the Top 25 Science Fiction Movies list continues with several more entries in the list! If you missed Part 1, click here, and here for Part 2. One of my favorite sci-fi films since childhood, Planet of the Apes tells the iconic story of man like apes being the rulers of a mysterious new world. For the era, the ape makeup effects are revolutionary, and if not for the film, many later sci-fi, horror, and other FX films would never have come into existence. Even today, the makeup holds up incredibly well, and it is so much better than the mediocre Tim Burton remake. In regard to the movie itself, Planet of the Apes is an interesting adventure. Despite being several decades old, there is nothing really like it. Not even the recent Apes films have been able to top the original. Steven Spielberg's E.T is among the best family films ever made. 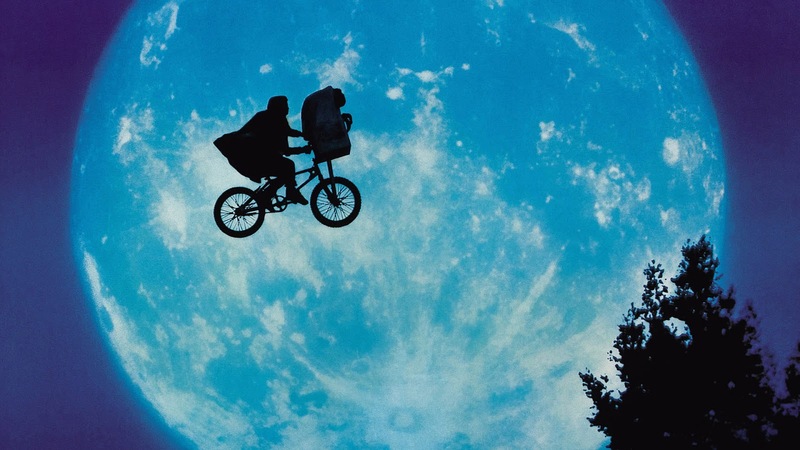 For me, a truly great "family film" is one that adults can enjoy just as much as kids and E.T. definitely succeeds. In fact, my first viewing of the film was not until I was 17 or 18. Spielberg is a masterclass director. He can make the most mundane things interesting to watch, and E.T. is a perfect example of his skill. E.T. : The Extra-Terrestrial is also one of the few films that stars a child where the kid does not detract from the film. Henry Thomas's performance off of the lovable E.T. special effect is excellent for his age. My only issue is that the movie does not do all that much in grand scheme of things, but that's fine for what it is. 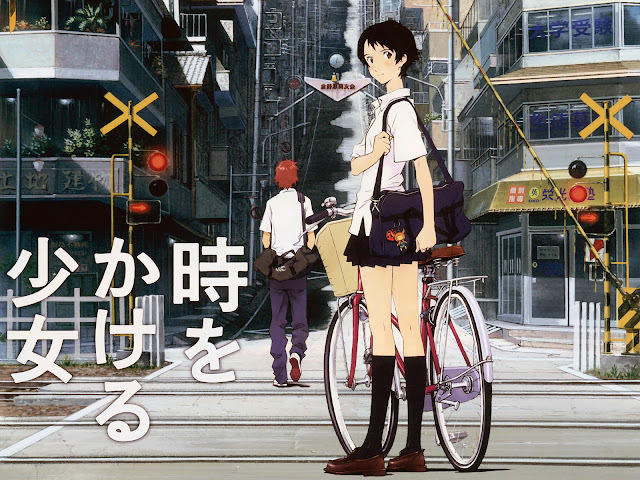 One of my favorite time-travel stories, The Girl Who Leapt Through Time, is based on a 1967 novel by Yasutaka Tsutsui. It tells the story of a girl, who can travel-through-time by jumping from a certain height. However, she eventually discovers that time-travel cannot fix everything as problems arise. What separates this film from other time-travel stories is that it does not follow the usual "dangers of time-travel." The main character actually uses the time-travel as you would expect a teenager would use it, and yet she is not an annoying teenager like almost every teenage character in recent memory. The mix of comedy and drama is effective, and in the end, the film is a must-see, especially for fans of Studio Ghibli and time-travel. Ridley Scott's classic is the principal of science fiction horror! Despite knowing who would ultimately survive, the film manages to create a strong sense of tension. 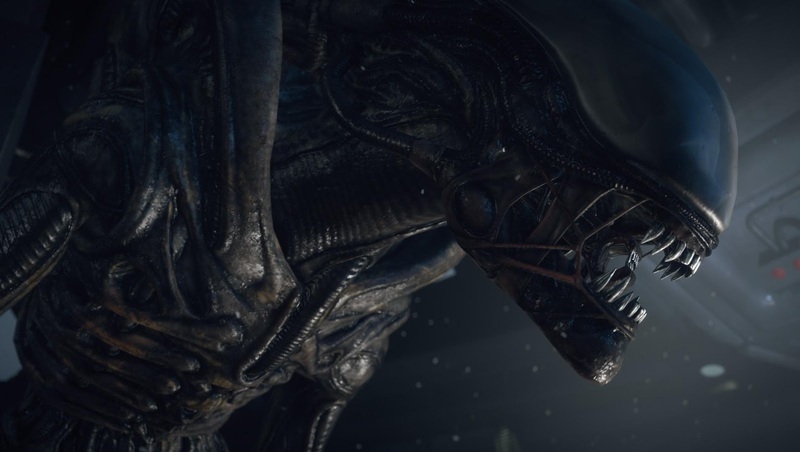 What surprised me the most is how unnerving the alien "Facehuggers" and "Chestbursters" are to witness. My skin crawls just thinking about them. The first scene with the Chestburster remains one of the few times where body horror works to forward the story without seeming over-the-top or unnecessary. Alien's special effects are yet another highlight as it is some of the best from classic sci-fi. The creature design for the Xenomorph is superb, as it too is one of the best creatures in film history. Lastly, the film set the foundation for one of the best heroines in film, Ellen Ripley. What do you think of the list so far! Are many of these your favorites? Please let me know in the comments, and if you missed it, please check out my review of Interstellar by clicking here.